There's no actual movement on the standings table this week, but Fernando Alonso has managed to close up the gap to Jenson Button for second place. 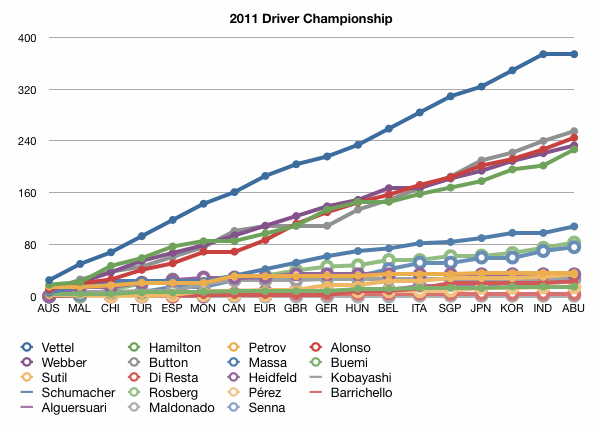 Lewis Hamilton's win has also done him a lot of favours. For the first time in a long time, Sebastian Vettel picks up no championship points today, and Mark Webber couldn't do very much to capitalise on that.